Did Epic Poker Find a Sucker? As we broke last week, Pinnacle Entertainment is in negotiations to acquire Epic Poker. We attempted multiple times to contact Epic Poker for comment or details, but they ignored our requests. Pinnacle has refused to comment as well. However, we believe the deal is for all Federated Sports+Gaming assets, including the Epic Poker League as well as HPT and the GPI. Over the past three-to-four months, there has been A LOT of M&A activity in the online poker space (we break down all of the deal on Insider here). Most we like. But some we don’t get. And this is one we really don’t get. Since we broke the story, we’ve fielded dozens of phone calls and emails from poker media, mainstream media, and industry types over the potential value of this deal to Pinnacle. We’ve heard the cases as to why the deal makes sense for Pinnacle and why it doesn’t. If you’re going to spend [presumably a lot of] money acquiring assets to better position yourself to capture market-share in a regulated online poker environment, there are two things that had better be part of your puchase: 1) A tested and proven online poker platform, and/or 2) player liquidity. To date, the only poker platform Epic operates is a social media gaming (SMG) Facebook app. However, it’s an antiquated product that they don’t even own. They license it. As far as player liquidity goes, the platform is only averaging around 5,000 daily active users. While that’s not abysmal, those are free-money players who have little to no value in a real money environment. Simply put, free-money players do not convert to real money players. Online operators would typically only convert around 10% of their .net to paying .com players. SMG players–who fit a different demographic and psychographic profile than .net customers–convert even less. 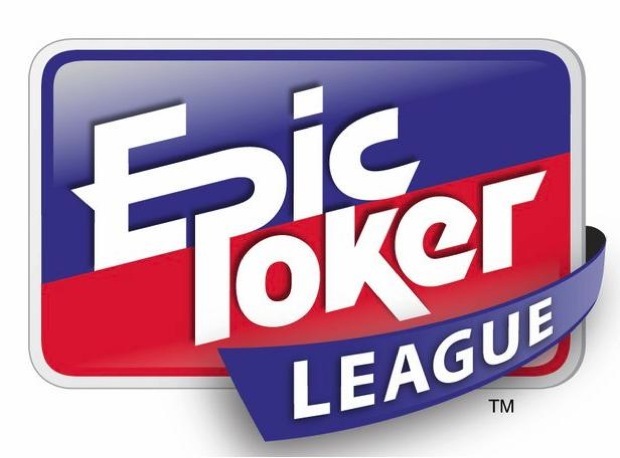 One could make the case that if Epic Poker league members actually “belonged” to Epic Poker, then there’d be some inherent marketing value of those pros if you attached them to a platform (think Full Tilt). However, Epic players are not signed endorsers of the tour. The biggest pro advocates of Epic are either signed to other operators or–while nice and successful players– don’t have any real customer acquisition value. So Epic has no players liquidity, platform, or brand recognition of note. What value, then, do they have? Not much, if any at all. Between some lofty salaries, $400,000 cash overlays, TV production budgets, acquisition costs of HPT, time-buy costs of their CBS show, and other general business operating expenses, Epic is spending a Niagara Falls level volume of money while only taking in a faucet drip of revenue. Additionally, an acquisition by Pinnacle would take away some of the few things that make Epic unique and attractive. Given that Pinnacle is a publicly traded company, we’d have a hard time imagining they’d greenlight overlaying $400,000 per event, let alone $1M in a championship freeroll. Take that away, and Epic’s pro participation numbers drop from what–90 per event to 60? 50? Without question, Epic takes exemplar care of its pro members. But many of those benefits would become a hard pill to swallow when the parent company has to justify those expenses to shareholders. Some people we spoke to speculated that perhaps Pinnacle is making the acquisition to retool Epic around the company’s crown jewel–the Heartland Poker Tour. However, others we’ve spoken to believe the Pinnacle acquisition would greatly harm HPT. A core component of HPT’s business model are the fees casinos pay them to host events. However, gaming executives we spoke with believe that competing Pinnacle casinos would not be OK with essentially lining Pinnacle’s pockets with their money via host fees for HPT events. There’s an old saying in business: one man’s trash is another man’s treasure. As most in the industry questioned Epic’s business model, the founders of the company never wavered. And maybe Pinnacle sees value in Epic that nobody (aside from Epic management) else does as well. But on the surface, if you’re trying to position yourself for real money gaming or a bigger presence in a regulated U.S. environment, this is a major head-scratcher. This company has been an Epic Failure from the beginning and was started by people that were overpaid. THe biz model is not there and the TV product was horrible. Again we were duped as players that we would make money from this biz. No more I tell u….